With Esaote’s new MyLab™X5, has become so smart and simple, you will no longer need to worry about time-consuming adjustments. 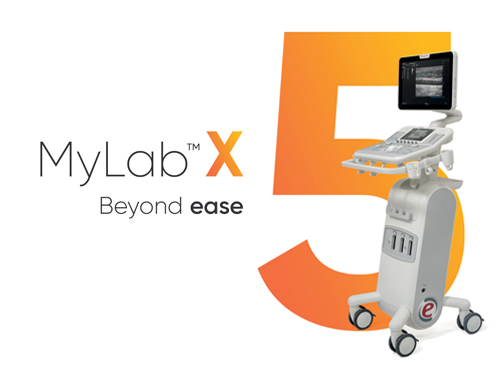 Designed with unique ergonomics, the MyLab™X5 brings you total user comfort and usability that is tailored to every clinical need - all enabled through its swift responsiveness and its friendly interface. Zero-click automations help you speed up your assessments and the enhanced image quality allows you to deliver them confidently and with utmost precision. The design, material, and manufacturing technology of transducers are the main determinants of an ultrasound system’s image quality. Thanks to the innovation of gold standard ultrasound transducers, iQProbes offer state-of-the-art imaging. Cardiovascular The MyLab™X5 is equipped with comprehensive cardiac and vascular configurations. 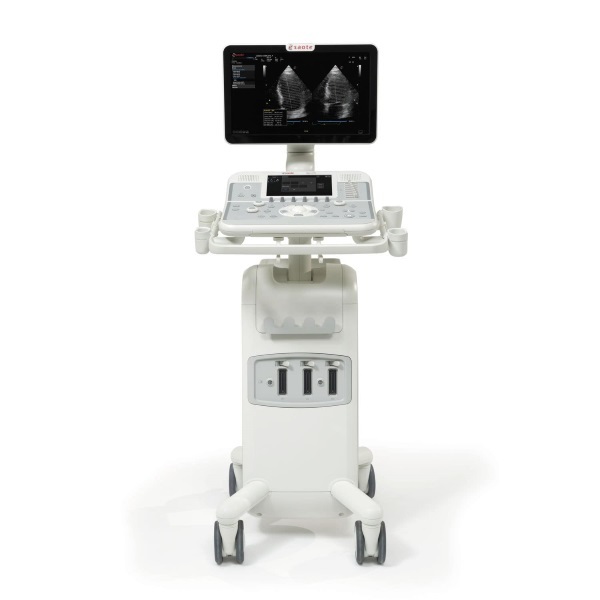 It functions as a complete system for ultrasound cardiovascular examination, and features customizable measurements and reporting. 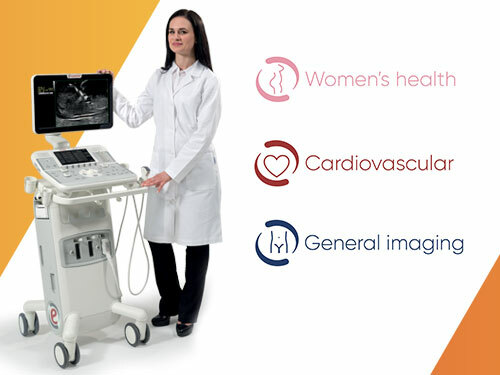 Women’s health The convex and endo-cavity probes provide excellent image quality for women’s health application needs. The 3D probe can also be used for standard examination. General imaging Esaote’s new MyLab™X5 covers any clinical need: from abdominal to endocrinology applications; to diagnosis, therapy, and finally follow-up. Stress echo: Complete Stress Echo package with flexible and customizable protocols for imaging acquisition and review. AutoNT: Automatic measurement of the Nuchal Translucency (NT). AutoEF: Automatic measurement of the EF fraction (entirely automated). XStrain™: Global strain bullseye (17-segments) as result of the 3 apical GLS outcomes.